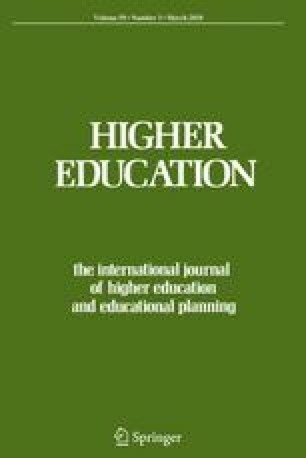 This study investigated the relationship between multiple predictors of academic achievement, including course experience, students’ approaches to learning (SAL), effort (amount of time spent on studying) and prior academic performance (high school grade point average—HSGPA) among 442 first semester undergraduate psychology students. Correlation analysis showed that all of these factors were related to first semester examination grade in psychology. Profile analyses showed significant mean level differences between subgroups of students. A structural equation model showed that surface and strategic approaches to learning were mediators between course experience and exam performance. This model also showed that SAL, effort and HSGPA were independent predictors of exam performance, also when controlling for the effect of the other predictors. Hence, academic performance is both indirectly affected by the learning context as experienced by the students and directly affected by the students’ effort, prior performance and approaches to learning.